The game has quite the history. Its beginnings date from 2000 years ago, when people were gambling with dice made of bone. But the first mention of the game was in the 11th century. At that period, Sir William of Tyre and his knights were supposedly played a game similar to Craps, called The Hazard. The name of the game Hazard allegedly comes from the name of a castle called Hazarth, where the knights were passing their time and developed the game. This early version of craps spread very fast in England and was even mentioned in Chaucer’s work, of course, still with the name Hazard. Playing hazard quickly became a huge event for the Englishmen in the 1600’s and 1700’s and the word of the game spread even in France. This is the period when the game got its new name, “Crab”, as was the French meaning for the lowest value of a throw of the dice. Craps, or “Crabs” at the time, was brought to America by French colonist in the early 1700’s. Here, the colonist met the English settlements and from then on, the evolution of the craps game loses the real track. Some claim that it is possible that the game is a combination of both English and French versions. Nevertheless, the game stayed the same, with the dice usage of craps. John H. Win is the next popular name related to the craps. In fact, he was honored with the title “Father of Modern Craps”, as he invented the Don’t Pass rule for betting. Until then, you couldn’t bet against the shooter; but when the Father of Modern Craps made the changes that changed the game forever. The layout changes that he made still remain today. 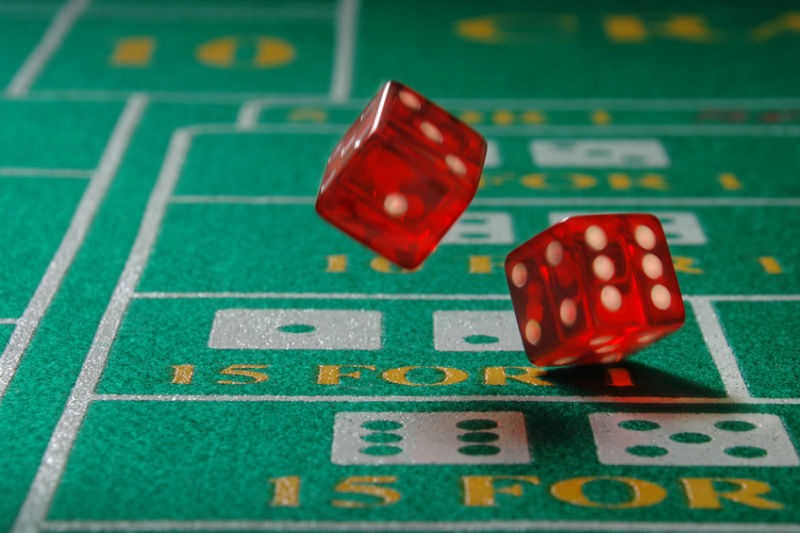 This new version of craps hit Nevada, Las Vegas and the game became one of the most popular games at the times. In 1930’, the Vegas casinos were full and people went crazy about this game where there was a dice involved. This was a big change in the casino world which brought even more excitement and better gambling experience for all the customers from around the world. The great interest in craps has awakened another kind of interest in people. Many have been trying for years to beat the house and win big money. But, controlling the dice roll is not an easy task. So many crapshooters around the world are still trying to figure out systems that could help them get a good roll and a good hand. If you’re a newbie, rolling the dice for half 15 minutes could be an exhilarating experience. But in the long run, one dice roll hand may last for hours. That is why many prefer playing slots over craps; not knowing what the outcome of the dice roll will be can make things exciting, but agonizing as well. Some people, however, like this granny, love the challenge, and it has already paid out well. The operator linked here has a nice collection of casino games including craps – we strongly suggest getting some practice runs for free before playing craps for real money.